Enjoy the area’s most impressive sites and get a glimpse of daily life in ancient Italy on this incredible trip! Herculaneum was a residential coastal town which has been superbly preserved due to the fact that it was covered in volcanic mud during the eruption of Vesuvius in 79 AD. The guide will give people the chance to view the town from above before heading down and beginning the guided tour which lasts about an hour. The buildings have been so well preserved that you can walk down the streets pretty much exactly as the Romans would have done over 2000 years ago! There are still original timbers showing in the buildings and clay pots stored as they would have been at the time of the eruption. 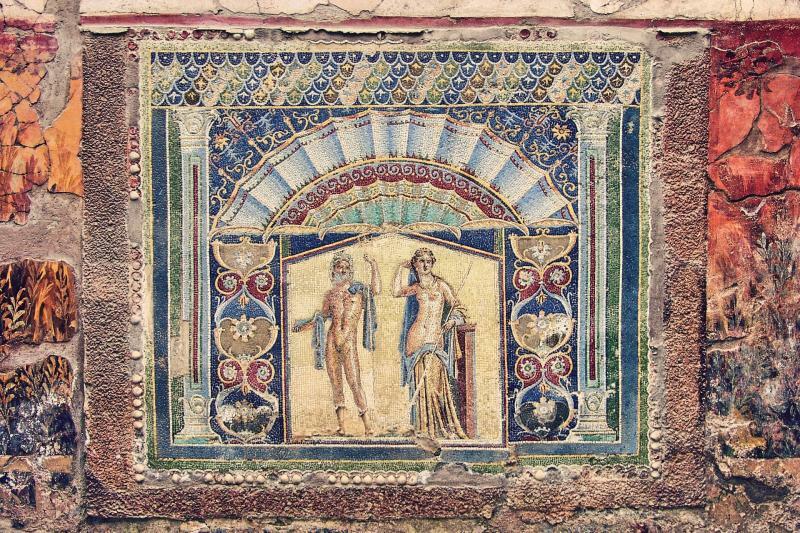 The tour takes in many of the most important sites including the public baths with their well-preserved frescoes and mosaics along with the shops and gymnasium and much more. It is all in all a fascinating tour of possibly one of the best-preserved examples of a Roman residential town in the world, brought to life by the years of study and knowledge of our guides. Return to Sorrento around 1:00 pm.